Want to make a difference in your city? Enjoy being outdoors or contributing to a nature-focused initiative? Consider volunteering some time with one of the organizations below. It doesn't even have to be a weekly or monthly commitment. While some are looking for volunteers who can help out regularly, many have events and opportunities where you can join just for one specific day or you can sign up to their email list and get notified of upcoming events. You can choose the volunteer opportunities you'd like to participate in! (And if you are not from Ottawa - here's a short nature volunteer list I've put together, to give you some ideas of what to seek out in other cities (including specific Canadian ones!) for outdoor nature opportunities. Canadian Wildlife Federation - Ottawa is lucky to have the CWF in its own backyard (in Kanata) where an amazing Canadian Native Plant Garden is located. If you are into gardening, they could always use a volunteer. Call the local office number and ask them about their wildlife friendly garden beds. Volunteer for one weekend or more! Constance Creek Wildlife Refuge (Vehicle needed.) - This wildlife refuge in the west end, near Dunrobin takes in wildlife and cares for farm animals. Email them for details on volunteer needs. Innes Point Bird Observatory (Vehicle needed.) - If you like to get up early and you'd love the opportunity to see birds up close this might be the volunteer dream job for you. Seeing the sunrise does have its bonuses! Volunteer for one morning or do weekly for one season. Nature Canada - Ottawa is also one of the locations for Nature Canada's "Nature Hoods" namely our local Important Bird Area - Lac Deschênes in the west end of the city. They host the annual Bird Fair and hold local bioblitzes. Send them an email to see how you can help! Lots of one-off opportunities! Ottawa-Carleton Wildlife Centre - This organization in Kanata, does mainly education and advocacy but does also help out citizens groups through their Living with Beavers program. Email them to see if there is a project you can help out with! South March Highlands (Vehicle needed.) - If you love these woods and would love to help advocate for them - contact this group. They've also been thinking about offering walks, so get in touch if you can help organize. Wild Bird Care Centre (Vehicle needed.) - Volunteers help wash dishes, clean rooms and cages and other general duties. You must be able to commit to four hours a week for this one but it's worth it to be up close to the wildlife. Fletcher Wildlife Gardens - If you like getting your hands dirty this might be the activity for you. Volunteers help in the Backyard Garden, Butterfly Meadow, Old Woods and do other tasks. Bonus if you can help them get ready for their annual plant sale! Go down for one day or volunteer weekly - they can always use more hands! Friends of the Farm - This group is so vital to the Ornamental Gardens and Arboretum - holding various nature walks and events, fundraising and doing gardening work. My favourites are the Shelter Belt team and the Bloom Time team: how can you say "No" to this: "stroll in the Arboretum, and (enjoy) the sight of new blooms"? Tree Fest Ottawa - This initiative to celebrate urban trees was founded in 2015 and is entering it's third year of programming at Brewar Park. Volunteers can email the organization to help with the outdoor event in the fall. Safe Wings Ottawa - Join this organization if helping to rescue migrating birds resonates with you. Window strikes for migrating birds are prevalent downtown and their "Dawn Patrol" goes out to save these avian travelers - just fill out their online application. Friends of Petrie Island - Visiting this urban gem is a joy in itself and by volunteering with them, you will get to immerse yourself in this incredible spot regularly. Early morning volunteering offers the chance to see turtles, frogs, beavers, muskrats, deer, owls and various other birds! What's not to love about that? Volunteer weekly (when you can) or sign up for a clean-up or other one-off event. 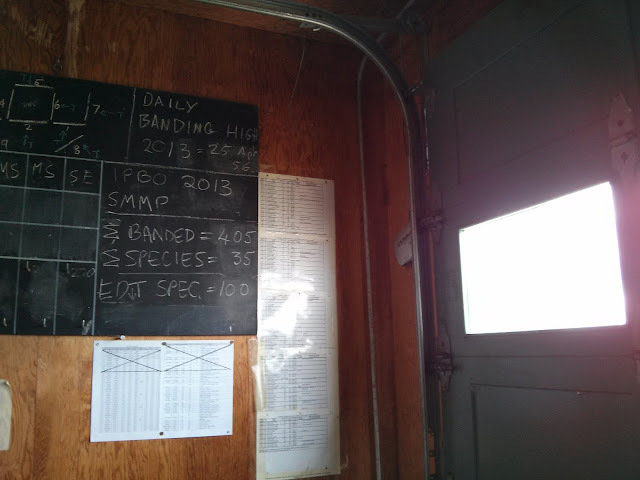 They also have a turtle monitoring program to counts nests (in spring) and hatchlings (in the summer) and wood duck boxes that are monitored and maintained. The boxes get cleaned out by the Ottawa Duck Club each winter which is a nice snowshoe outing. Ottawa Pinhey Sand Dune with Biodiversity Convervancy - Here is a unique opportunity to do some manual reclamation work on a rare ecosystem in Ottawa. Volunteers can sign-up through email or follow on Facebook and then help out as needed two or three times a year. Choose the day(s) you want to volunteer. 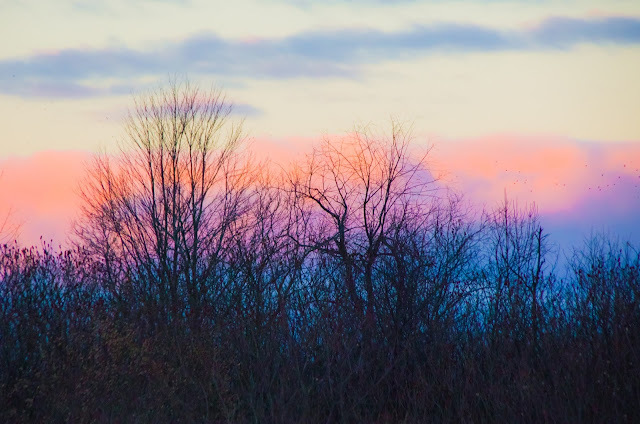 Rideau Valley Wildlife Sanctuary (Vehicle needed.) - This sanctuary is another organization that takes in injured wildlife. They are located in North Gower and to help out as an Animal Care Assistant you must be able to volunteer for four hours weekly. Other volunteer positions include: nest box builders, drivers and foster caregivers. More details on their website (link above). Friends of Gatineau Park (Vehicle needed.) - With a car you could be zipping up to Gatineau Park and helping out with events such as their popular Dusk Series or Adopt-A-Trail program. Their Bioblitz this year will be June 10 - 11, 2017. Canadian Park and Wilderness Society (CPAWS) - Ottawa-Valley Chapter - This organization also does work in Gatineau Park and holds monthly hikes, some of which are in town. If you have some outdoor skills or wish to help organize the walks - you may be able to help out! They also do turtle monitoring at Mud Lake so this might be of interest to those in the west end of the city! City of Ottawa - Right here in the city, there are many opportunities to help out through the Cleaning The Capital campaign (every spring) or you can organize your own group to Adopt-A-Park! Ecology Ottawa - While much of their work is through education and campaigning, there are opportunities to do tree planting and clean-ups in the city. Or possibly you may want to be the voice for our urban trees and help with a door-to-door campaign? Get on their mailing list and be notified about one-off opportunities. Greenspace Alliance of Canada's Capital - This is a crucial local group that helps advocate for the greenspaces around the city. There is no outdoor volunteering but any support for their work will ensure that all Ottawa citizens get to enjoy the greenspace more! National Capital Commission - There are both some fun and tough outdoor jobs here: you can tackle some invasive species at Mud Lake, do some gardening at Maplelawn or help out on Sunday Bikedays if you are close to one of the parkways. The Poets' Pathway - If poetry, verse or other prose moves you and the idea of an outdoor poetry reading thrills you, then this group is for you! Consider a membership or contact them to see how you can help. Ottawa Bird Count - Curious about the birds in your neighbourhood? Want to know more & help out in some way? Then check out this organization! Don't worry if you don't know all your urban bird songs - they hold a six-week course every spring so you can learn! They also send out their volunteers with recorders (if needed) so you can be sure about what you are reporting. Urban Point Count volunteering is one (early) morning a year! Ottawa Duck Club - This hard-working group of field conservationists have done some impressive work in building, installing, monitoring and maintaining wood duck boxes across the city. The boxes are concentrated in three areas - one in the north west end (Shirley's Bay), one spot in the east end at Petrie Island and the third along Watt's Creek in the Western portion of the Greenbelt. Ottawa Eco-talent Network - this organization is newer to the local ecological scene but they are creating a pool of skilled volunteers who can offer pro-bono advice, research capacity and assistance to community action on environmental sustainability! So if you want to work outdoors you could see if there is project that fits with your skills. Ottawa Riverkeeper - Do you like being on the water and/or want to do something to help with water quality? 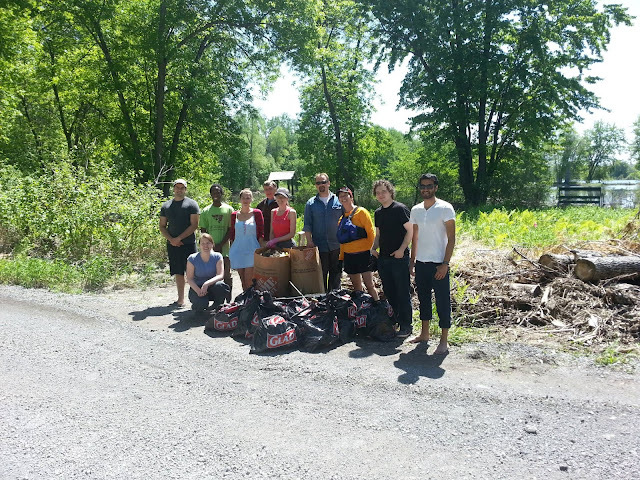 Then check this group out that does riverbank clean-ups including ones organized through the Great Canadian Shoreline Cleanup (WWF Canada) and water monitoring for the Ottawa-Outaouais River. Sign up to get notified about different events and then choose one that suits your availability. Ottawa Stewardship Council - In the past they were building bat boxes, monitoring chimney swifts and even working on a turtle study, now they are working on restoration projects - doing bioblitzes and planting trees. If that sounds like fun, this is a great group to volunteer with! Ottawa Swift Watch - This fun volunteer activity will having you looking upward in the evenings to see if you can find local swift roosts. This is organized through Bird Studies Canada. You can choose how many locations you visit in the summer. Rideau Valley Conservation Authority - The RVCA looks after the entire Rideau watershed including urban streams. Help them protect these critical waterways through streambank restoration including planting trees and through their City Stream Watch program. You choose depending on your schedule, do one a month or more. You get to put on hip waders for this one! Water Rangers - Interested in the health of our local water system? Curious about the quality of water in your neighbourhood. You can start with both temperatures and visual signs or go further and get a test kit and do some more detailed monitoring. They've got over 100 sites in the Ottawa municipality alone (both along the Ottawa and Rideau and even some of the urban creeks). The Nature Conservancy of Canada and Ontario Nature are two other nature organizations that sometimes have volunteer activities in and around the city. Or if you are really skilled in herptile and/or bird calls see if you can help out with any of the local Bird Studies Canada initiatives. - especially in the East or South? thanks so much Linda Cruz! I live in Vanier and am looking to volunteer. I’m not sure where to go or start but would like to volunteer in nature. Hi Claire! That's great to hear that you are interested in volunteering for nature! If one of the organizations above appeals - I would contact them to see if they have any specific activities in your area and/or if there are opportunities to car pool (if you don't have a car). Best bet is to review the "City Wide" ones listed above and contact the organization directly to see if there are opportunities in your area. BIRDS - Safe Wings Ottawa volunteers patrol Centretown streets in the morning looking for birds that need to be rescued. Also the Ottawa Bird Count is starting up their spring course soon and always needs more volunteers to go out and do urban bird counts. And Ottawa Swift Watch has local roost spots that need to be monitored in the summer. CLEANING THE CAPITAL or GREAT CANADIAN SHORELINE CLEAN UP - there may be clean-ups in your area this spring (check with community associations also). TREES - Ecology Ottawa looks for community tree representatives and check with the R.V.C.A. as they have tree planting opportunities (also check with community associations as they organize these every so often). STREAMS - the R.V.C.A. Stream Watch is a great program if you like getting out into nature (and like hip waders!) ; ) If this appeals check to see if they are doing a stream close to you (they cycle through them every 5- 7 years I think) or help out the Water Rangers with some of their water monitoring. Another great group to reach out to is the Ottawa Stewardship Council - they might be starting a new project in your area!